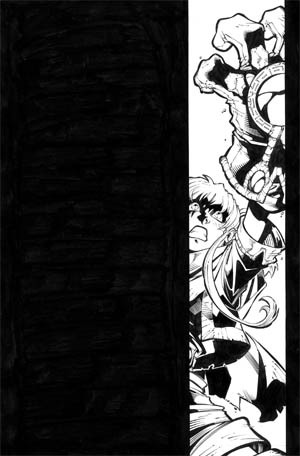 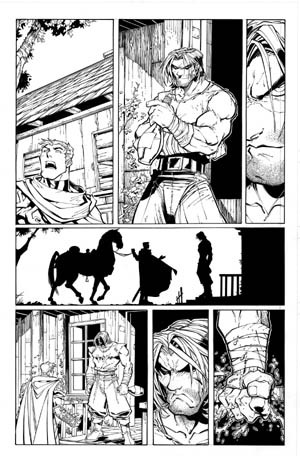 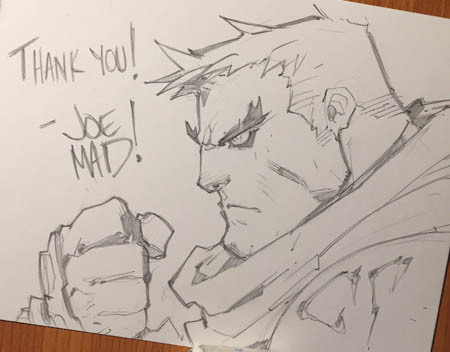 JoeMadArt.com update #20 Battle Chasers NightWar is live and rocks! 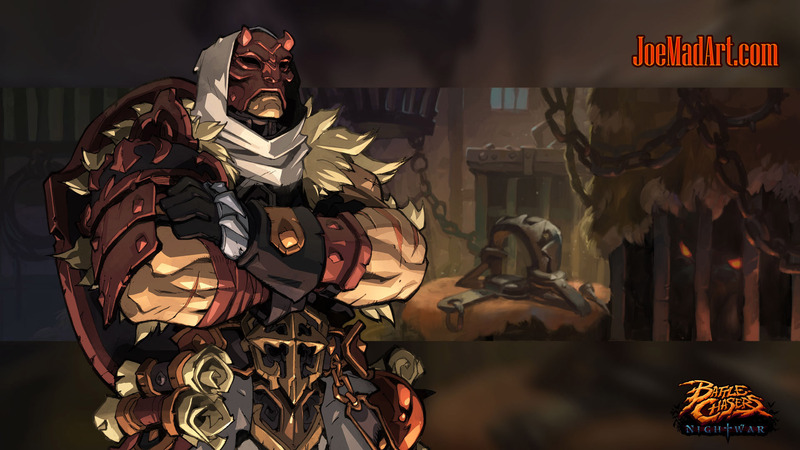 Battle Chasers NightWar is live and rocks! 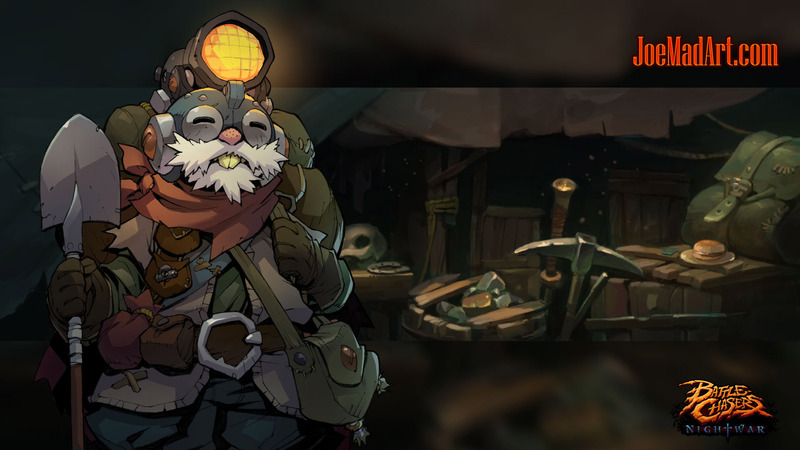 After 2 long years of development Battle Chasers NightWar is officially out! 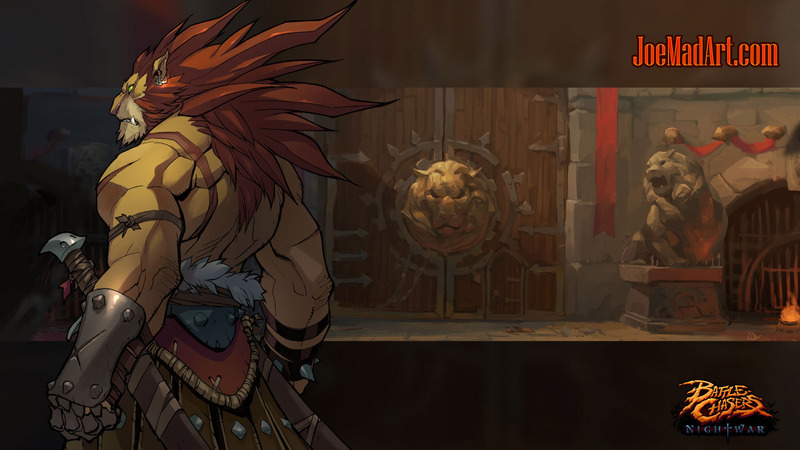 And what is even better is that the game fulfilled all his promises... and even more! 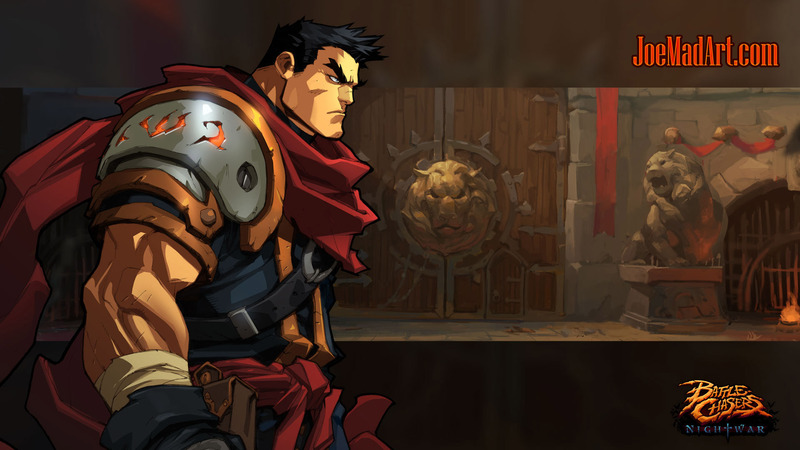 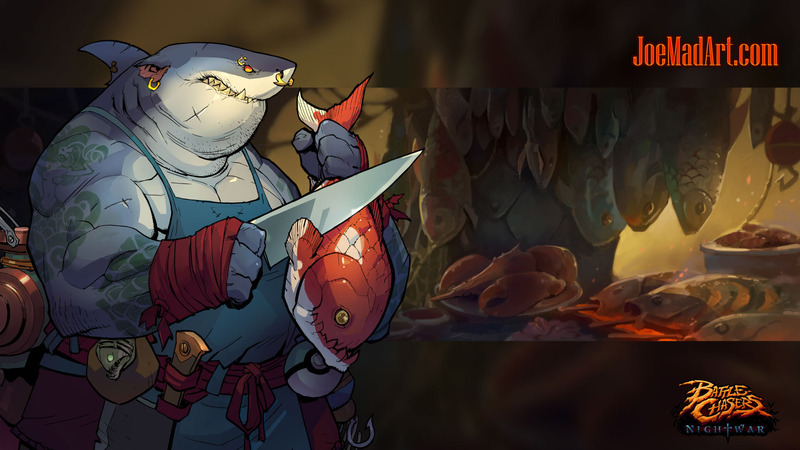 A large majority of the reviews have the same conclusion: Battle Chasers NightWar is fantastic! 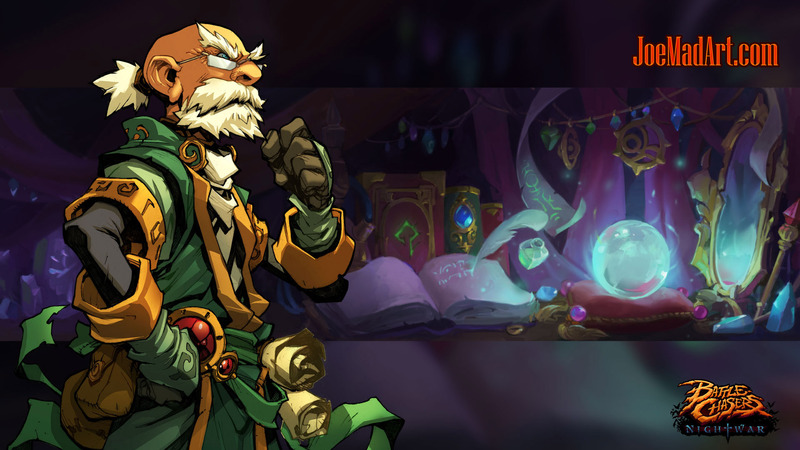 Yes indeed the PS4 version suffered from a very frustrating bug but it has been corrected now. 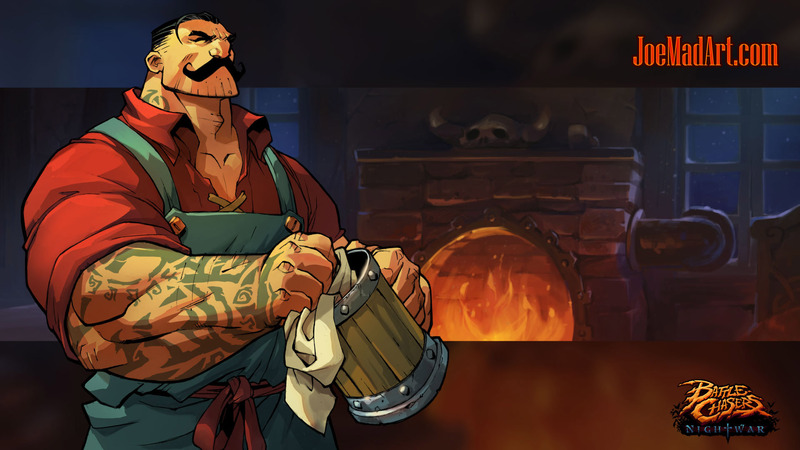 Also the game isn't available for the Nintendo Switch yet but it's just a matter of time. 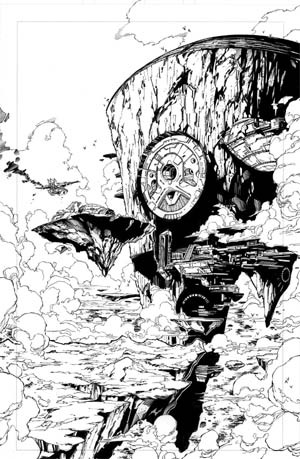 I think that all the backers can be proud of what Airship Syndicate accomplished! 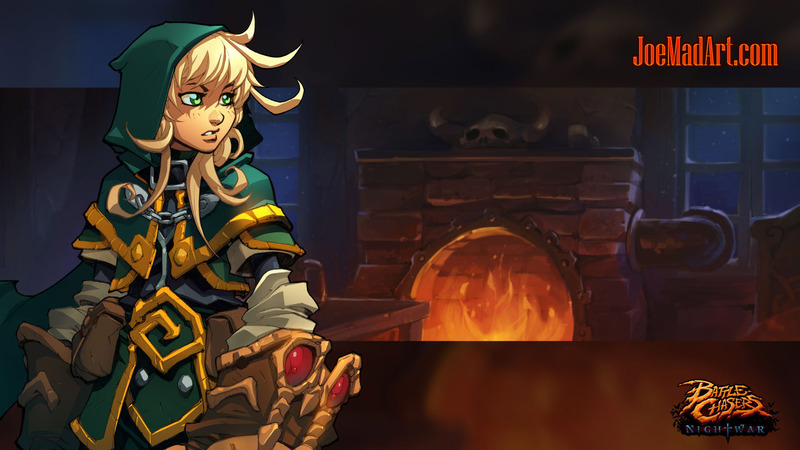 I suppose that many of you are already wondering: "And what's next after Battle Chasers NightWar?" 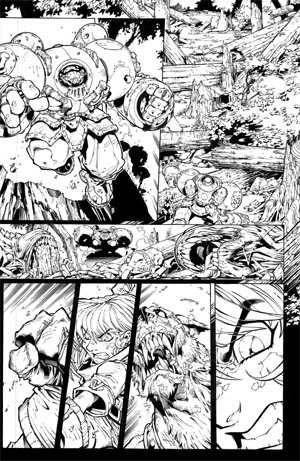 Joe will now focus on the comic of Battle Chasers with the #10, #11 and #12 that will continue the story where the comic #9 stopped. 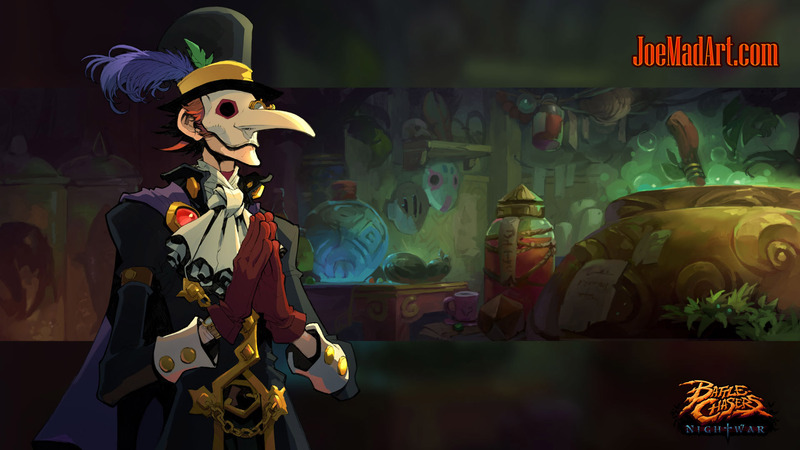 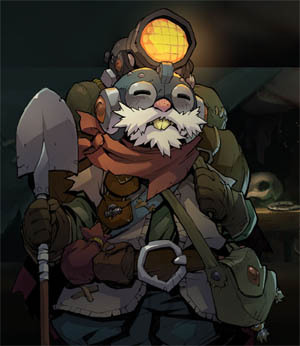 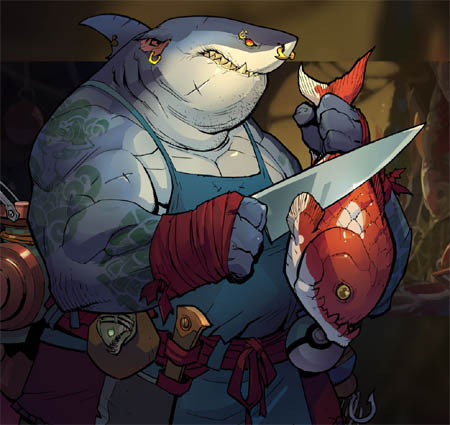 Anyway, nothing is set in stone yet and an another Battle Chasers game could also come sooner than later if the first one is really a success. 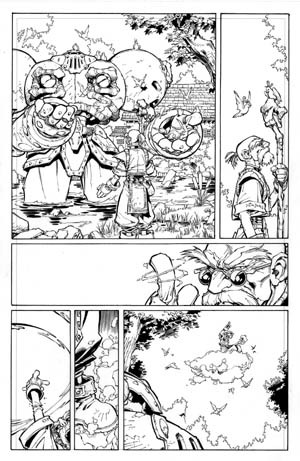 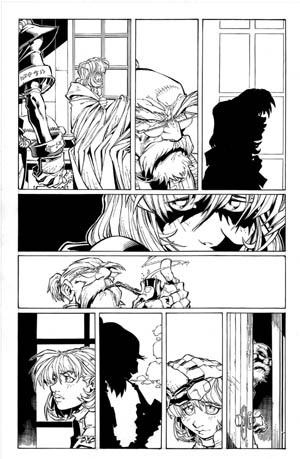 A big "thank you" again to Tom McWeeney who sent me the scans of those inked pages! 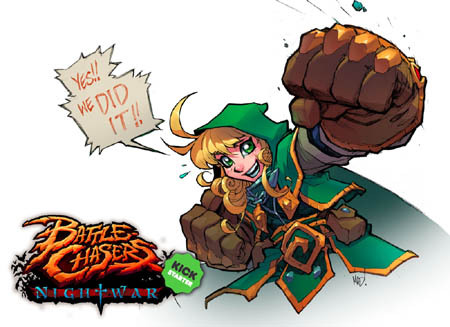 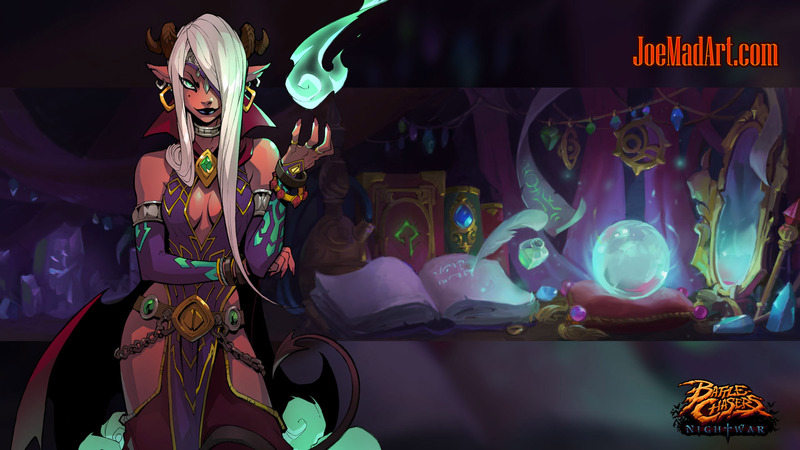 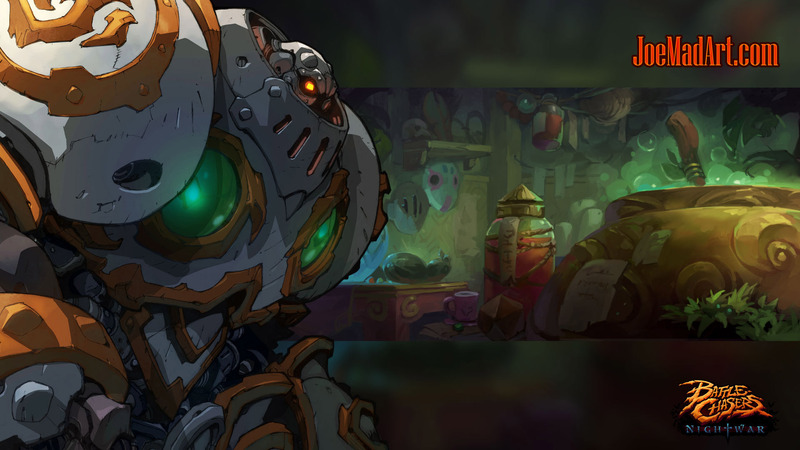 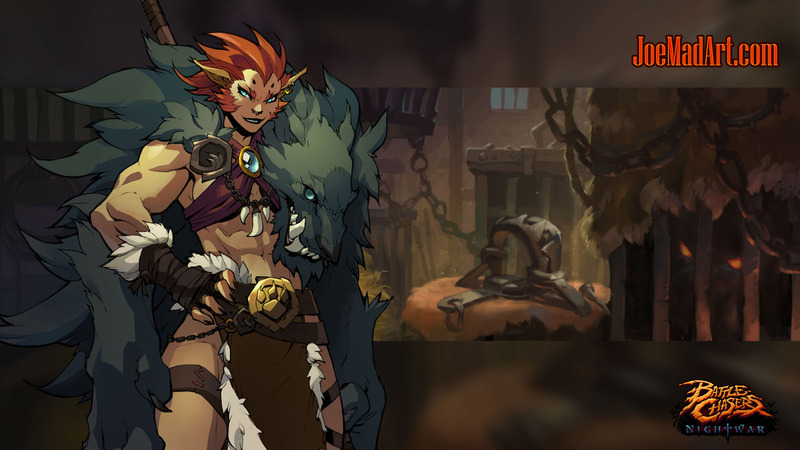 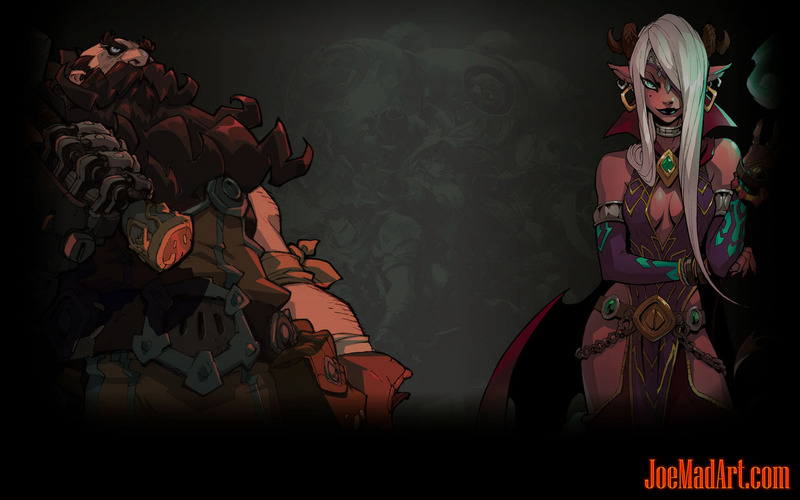 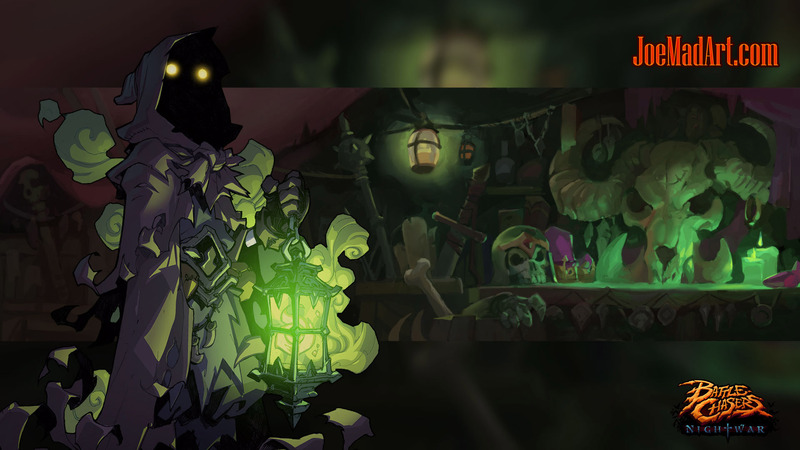 I hope you will enjoy Battle Chasers NightWar and that you will spread the world about it!